A water based solvent and alkaline spotter for neutralising acidic or oily stains such as most food, blood, vomit, water-based inks, fresh tea and coffee, milk, cream and wine on carpet and fabric. Water and solvent based alkaline spotter for carpets and fabrics. Neutralises acidic or oily stains. For professional and industrial use only. Scrape or blot up all excess soiling. 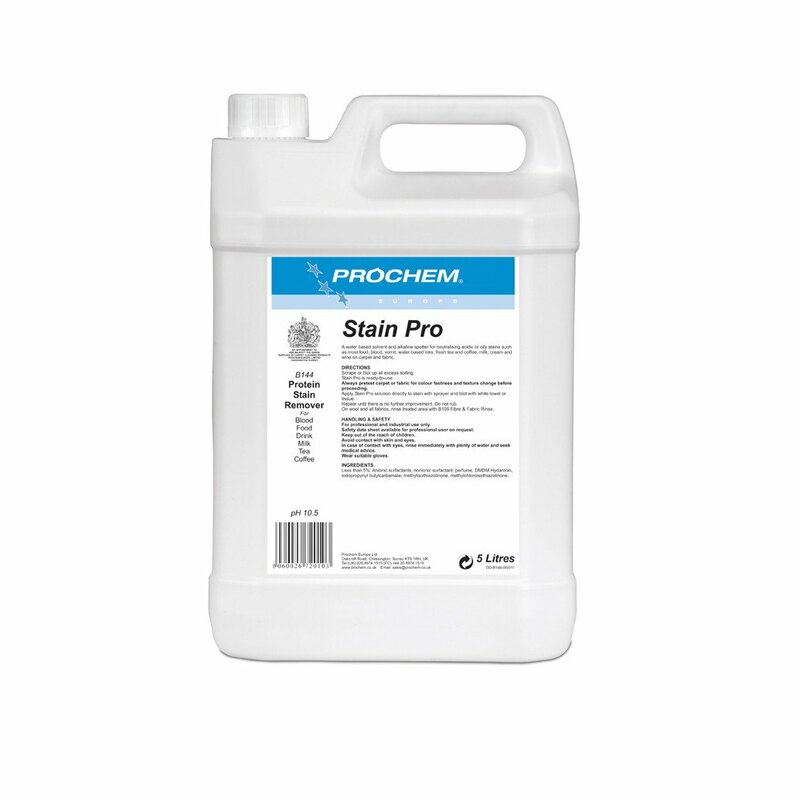 Stain Pro is ready-to-use. Always pre-test carpet or fabric for colour fastness and texture change before proceeding. Apply B144 solution directly to stain with sprayer and blot with white towel or tissue. Repeat until there is no further improvement. Do not rub. On wool and all fabrics, rinse treated area with B109 Fibre & Fabric Rinse.